Fairtrade is about better prices, decent working conditions and fair terms of trade for farmers and workers. 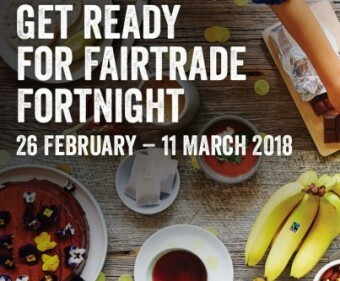 Fairtrade Fortnight 2018 runs from 26th February to 11th March. In this blog, I will go through what Fairtrade is, and what you can do during the fortnight. Fairtrade Fortnight sets aside two weeks every year to highlight the values and products of fair trade and the links between customers and producers.The Fairtrade Foundation wants us to join them in supporting farmers and workers who grow food. They say, with Fairtrade, we have the power to change the world every day. Fairtrade Fortnight aims to put a spotlight on trade. For farmers and workers, fair trade has the potential to greatly improve their lives and can also make the world a better place. There are millions of farmers and workers, who produce the food we enjoy, but still don’t get paid enough to make a decent living. Marcial Quintero, a member of the Coobana, a Fairtrade banana co-operative in Panama is quoted as saying ‘For hundreds of years, we were taught to serve, to be workers. Now with Fairtrade, we are entrepreneurs’. The reality is that millions of others farmers and workers aren’t getting enough despite working hard to provide the products we love. Marcial and hard-working producers like him are fighting hard to change that reality by trying to get a fair deal and provide for their families. There are lots of ways you could get involved in Fairtrade Fortnight. This year you could have your very own Fairtrade Feast for friends and family, at home or work, with just tea, coffee and a bit cake or a feast of Fairtrade treats. Tea or coffee – whether you like a morning brew or a latte, always look out for the Fairtrade mark on the packet. You will find Fairtrade options in most supermarkets. Commuter drinks – if you are on the go and need a tea, coffee or orange juice to keep you going, look for the Fairtrade sticker and double check with the shop or cafe to see if their tea or coffee is Fairtrade certified. Snacks – look for the Fairtrade sticker on chocolate or bananas (if you are going for the healthy option). If your local shop doesn’t have any Fairtrade items, then you can always ask them to stock them in the future. Baking – if you like baking, then you can use Fairtrade ingredients – everything from cocoa to sugar paste and vanilla to icing sugar. Whatever style of cake you like to bake, make sure that it not only tastes good, but it also does good for millions of people over the world. The Fairtrade Foundation have lots more information on how to get involved if you’re a business or a campaigner. Our Eco Shop sells a range of Fairtrade items, including tea, coffee, sugar, chocolate and more. Pop by to browse what’s on offer, and find out more about Fairtrade Fortnight.